The laws that define divorce proceeding are the province of the various states rather than federal law and therefore differ significantly from state to state. Nevertheless, there are certain elements that are common to all divorce proceedings regardless of state of jurisdiction, and the status conference is a prime example. Divorce proceedings are initiated by the filing of a legal pleading called a petition or complaint: a formal, written document that states the reasons for dissolution of a marriage (divorce) and that seeks related relief such as custody of children, spousal support and distribution of property of the marriage. After the other spouse has responded by filing a formal pleading called an answer, either party may request a status conference by filing a formal pleading known in most jurisdictions as a Notice to Set Status Conference or Request for Status Conference. In response to this request, the trial court will assign a date for the status conference. If both parties are represented by counsel, the court will usually consult both attorneys to determine a date and time. The primary purpose of the initial status conference is to determine the overall schedule under which the divorce proceeding will progress. Deadlines will be assigned for such matters as production of documents, conduct of depositions and the filing of supplemental pleadings. The court also will set hearing dates. The court may also set a tentative trial date during the status conference. In many jurisdictions, the status conference is conducted as an informal meeting in the chambers of the trial judge and is not recorded or transcribed by the court reporter. It may even be conducted by a telephone conference call. However, some jurisdictions conduct the status conference as a formal proceeding in open court and on record. Although the status conference is held primarily to determine a tentative schedule for conduct of the overall divorce proceeding, it is not unusual for the attorneys or the parties to discuss prospects for settlement of the action during that conference. However, most jurisdictions provide for a second, separate conference that is specifically dedicated to settlement discussion. Judges are randomly assigned to a case by the clerk of the court and are required to be fair and impartial. However, in certain circumstances, it may be necessary to seek the disqualification of an assigned magistrate presiding over divorce proceedings. 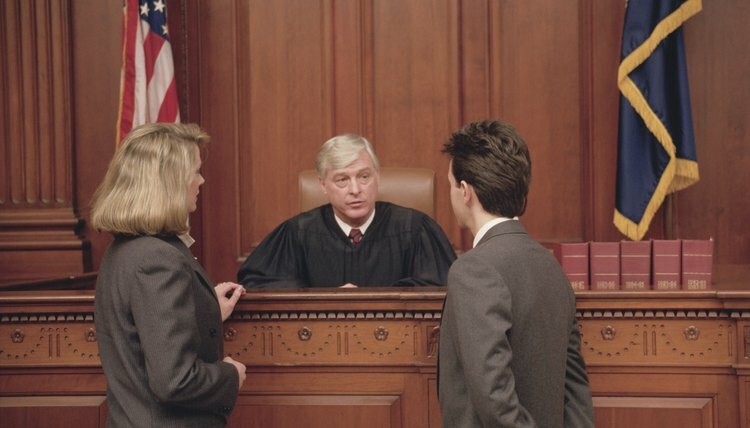 The Connecticut Code of Judicial Conduct sets forth circumstances in which a judge may be disqualified from service, including bias, prejudice, having a familial or monetary interest in the case, or hearing the same divorce proceeding after the judge's decision was overturned on appeal. To seek a judge's removal, you must file a motion with the court. What Does "Granted a Divorce" Mean? Even in no-fault divorce states where dissolving a marriage is a matter of personal choice, a judge must supervise your divorce proceedings and sign off on your divorce agreement. A divorce is not granted until the court enters a final divorce decree. What Happens After You Sign & Notarize Your Divorce Documents?